Zack Snyder, who became a major film director following 300, is renowned for making movies that are pleasing on the eye, but have little by way of substance. Watchmen attempted to be profound without much success, and the less said about Sucker Punch the better. But could the input of the exceptional Christopher Nolan give Snyder the tools to change his ways and make the reboot of Superman, Man of Steel, a masterpiece? 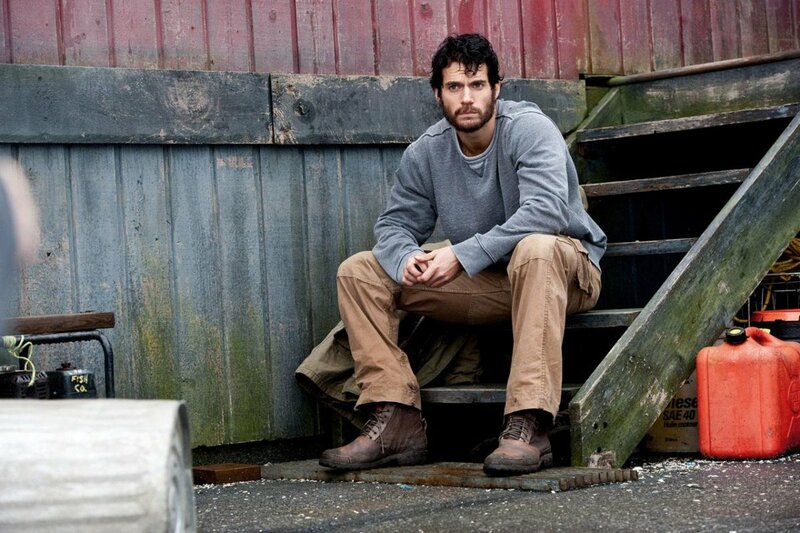 Clarke Kent (Henry Cavill) working as a blue-collar worker, unsure as to who he really is or where his life is taking him. 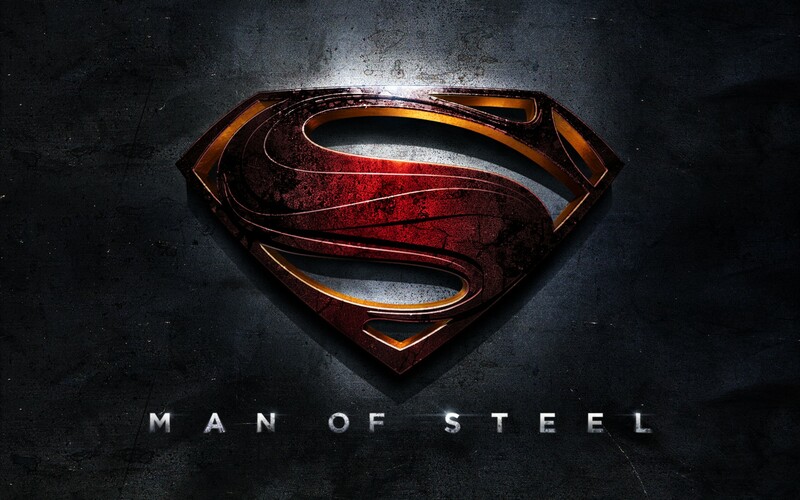 Man of Steel begins with Jor’El (Russell Crowe) sending his baby son, Kal-El to Earth before Krypton implodes. On Earth, Kal-El grows up as Clarke Kent (Henry Cavill) in America, aware of his strengths, yet uncertain as to who he is. However, when General Zod (Michael Shannon) threatens Earth with destruction unless they hand over the ‘alien among the people,’ Clarke learns of his past and that he must confront his father-on-Krypton’s enemy. Man of Steel begins in an interesting way by briefly showing audiences the politics on Krypton and why the planet foundered. It is accompanied by some stunning special effects to give viewers a true feel for the nature of the planet itself, including how babies are born, which bears a striking resemblance to how people are formed in Aldous Huxley’s A Brave New World. Following the prologue of Krypton’s self-destruction, the film goes back and forth, illustrating Clarke Kent’s confusion throughout his life, in the wake of him becoming Superman. The most interesting aspect of this development is when Clarke’s father-on-Earth, Jonathan Kent (Kevin Costner), asks/advises Clarke on the sort of man he wants to grow up to be. This attempts to give Clarke a third dimension, as well as some much needed depth to Man of Steel. General Zod (Michael Shannon) declaring his strategy on Krypton. Alas, the movie otherwise lacks complexity and has the feel of Snyder’s Watchmen and, particular, Sucker Punch. Worse, as Snyder makes his eponymous character to be a God-like superhero, there is no sense of peril when watching Superman fight. Consequently, the half-dozen Matrix-style action scenes go on for far too long they become repetitive and boring quickly. Length, in general, is a problem for Man of Steel. At 143 minutes, it is tediously long, especially as the plot only really starts when General Zod threatens Earth about an hour and fifteen minutes into the movie. Furthermore, Man of Steel is not assisted by the characters. Although they’re all derived from the comic books, none of them are particularly interesting. That is not to say that the actors do a bad job with what they’re given, but the material does not allow them to excel. Henry Cavill fits the build and is adequate as Superman. But Superman lacks the charisma of Tony Stark/Iron Man or the multi-faceted personality of Bruce Wayne that Nolan superbly exploited in his Dark Knight Trilogy. Superman, in short, is just a traditional (ordinary) hero. The good, moral hero has been done to death, and viewers are right to demand more from filmmakers on this matter, even if the character is strictly in accordance with the comic books. 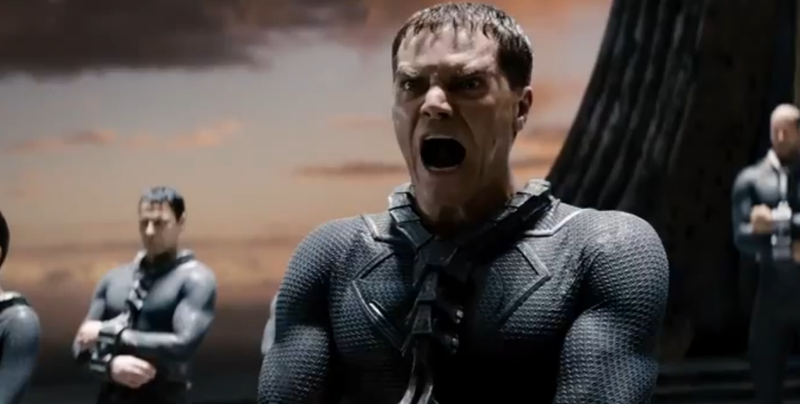 Similarly, Michael Shannon does a decent job as General Zod. Yet, Zod is more or less an old school, stereotypical villain, which is not interesting anymore. Kevin Costner and Russell Crowe playing as Clarke’s two fathers have the simplest roles in the film, but they are the most interesting characters by a distance (although Crowe’s part for much of the storyline is a deus ex machina, which is very frustrating). Superman, flying in to save the city and the people from General Zod. Unusually, however, Amy Adams does not do herself justice as the journalist, Lois Lane. Whenever Lois speaks about Clarke’s supernatural/alien powers, Adams does not look like she believes in what she is saying, even though she attempts sincerity. (Then again, it is hard to criticise Adams on this matter, since the more serious one tries to be when talking about supernatural forces or aliens, the more laughable it appears.) And, strangely, the music by Hans Zimmer sounds average and unmemorable, which is most unusual for him, and that probably sums up Man of Steel. 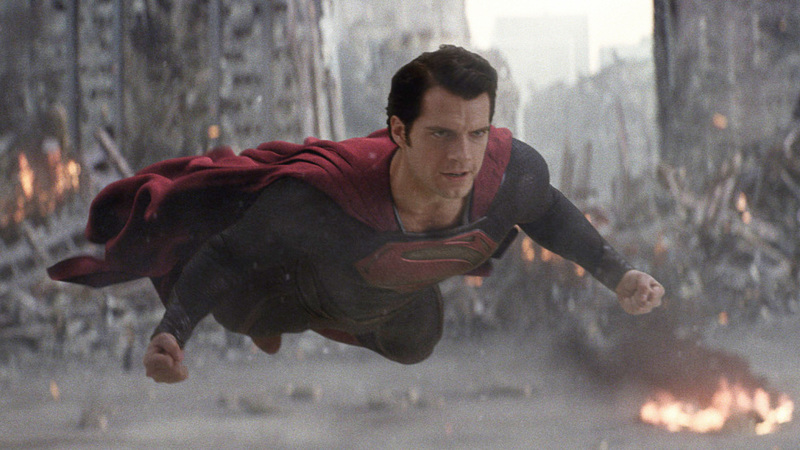 Over-all, Man of Steel has a few stimulating ideas and some fantastic CGI that is worth seeing alone. However, the ideas are under-employed, and much of the film, including the major fight scenes are monotonous and boring. Thus, Man of Steel lacks what made Christopher Nolan’s Batman movies so engrossing, and it disappointingly bears the hallmarks of Zack Snyder’s films: all gloss and no substance.